25mg/g of the strongest Salvia Extract for sale online. Guaranteed! Available in 1, 3, and 6 Grams. 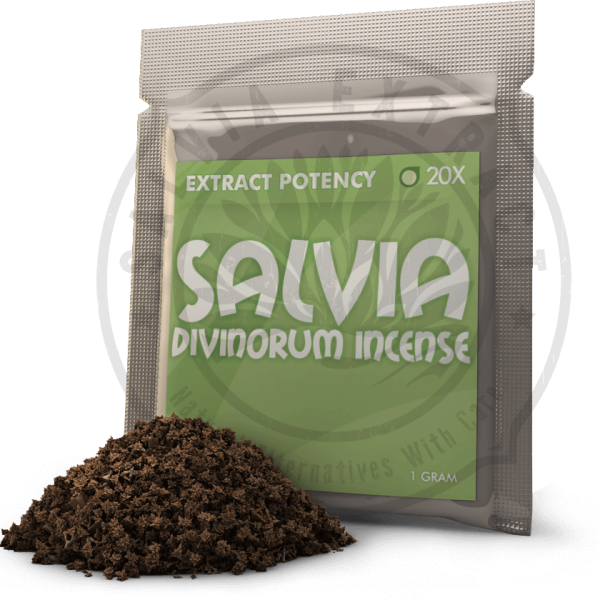 Salvia Extract 10X is ideal for those new to the salvia experience! Salvia 10X: Guaranteed to be the most powerful salvia extract for sale online!! When smoked, salvia divinorum is said to induce visions and give the user entry into supernatural realms. Salvia Extract 10X contains both of the compounds known to produce intense hallucinations, salvinorin A and salvinorin B. Salvinorin A is undoubtedly the strongest, naturally occurring hallucinogenic substance known to man! Our Salvia Extract 10X contains 25mg/g of high-quality salvia. Each gram is equivalent to 23 Oz’s of salvia leaves. Salvia Extract 10X is perfect for the beginner because it is not too strong. The effects of salvia are different for each person and the trip can be very overwhelming for some. Click HERE to read up on how to use psychadelics safely. It is important to remember, as with all psychedelics, use when you are in a happy and positive mood. 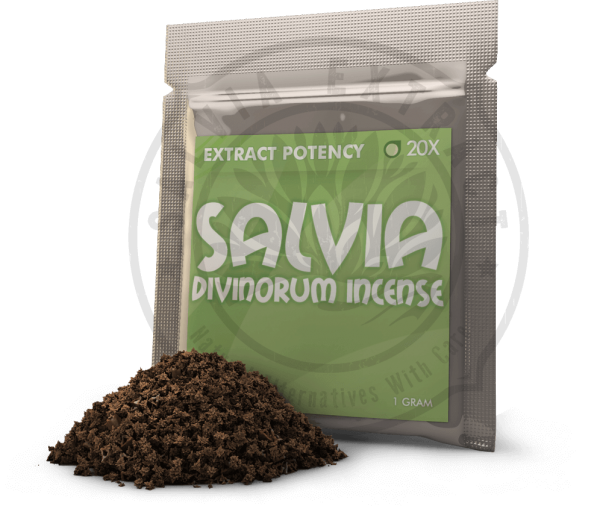 Using salvia divinorum when you are already down will only intensify those negative emotions and lead to a bad experience. On the contrary, using salvia while in a positive and happy mood will intensify those emotions as well.